India’s e-commerce story is a familiar one—cash burn, negative unit economics and a pipe dream called profitability, all in the name of customer acquisition. 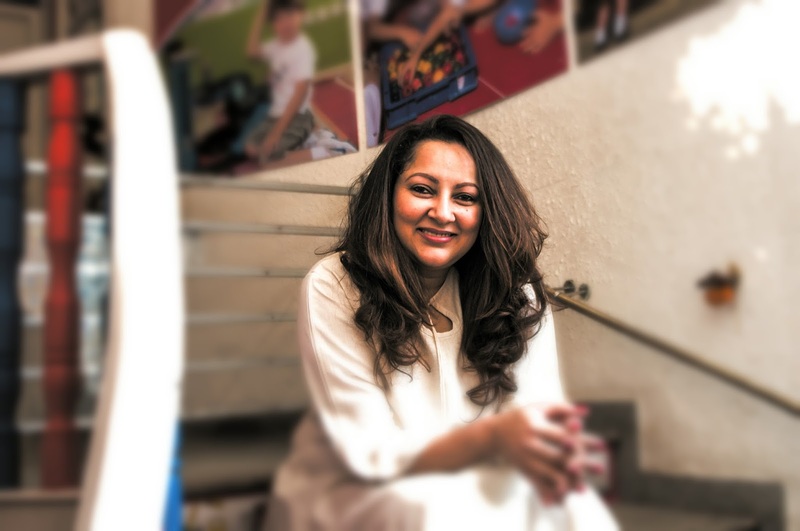 But Ahmedabad-based Infibeam Incorporation Ltd, the country’s first online retailer to go public, has scripted a growth story that flies in the face of the prodigal ways of other, heavily-funded e-commerce players. It not only continues to be profitable quarter-on-quarter, but also believes that expanding margins, particularly from its business-to-business (B2B) enterprise platform, will help it sustain the growth momentum. However, if you thought the B2B strategy was all there was to the Infibeam story, you have another think coming. The company is treading a carefully-charted growth path, winning projects, striking new collaborations with government and private partners alike, and stitching value-accretive deals. Earlier this month, Infibeam entered into a pact to merge CCAvenue with itself in a deal that is expected to value the payment gateway firm at Rs 2,000 crore ($298 million then). The e-commerce company, which already owns 3.85% in Avenues India Pvt. Ltd-run CCAvenue through subsidiary NSI Infinium Global, will acquire another 7.5% stake in it by investing Rs 150 crore, according to stock exchange filings. Experts feel CCAvenue will be heavily accretive to Infibeam, which also reflects in the company’s stock price rise and the subsequent hike in its market cap. On February 28, the company had a market capitalisation of Rs 7,419 crore compared with Rs 5,035 crore on November 16, 2016. CCAvenue, one of the largest payment aggregators in India, provides a platform to over a lakh merchants to collect payments online. It also has tie-ups with close to 50 banks. CCAvenue also intends to engage with Bharat Bill Payment Systems (BBPS), which will let it offer payment facilities for utilities and other services in the Indian market. Mayank Babla, research analyst at KRChoksey Shares and Securities Pvt. Ltd, says CCAvenue’s merger is expected to add incremental revenues of Rs 200 crore to the top line and Rs 40-50 crore to net profit following the amalgamation. In a research note earlier this month, Babla said he expected the CCAvenue merger to boost revenue growth, since the payment aggregator has grown at a CAGR of 45-50% per annum between FY14 and FY16. “[The] merger with CCAvenue will not only add ‘transaction fees’ charged by payment aggregators for B2B and B2C services, but also the potential revenues from Bharat Bill Payment Systems or BBPS operations. We believe that launch of BBPS is a huge trigger for CCAvenue’ revenue growth as the government of India plans to shift 70% of Rs 6,22,300 crore in utilities payments to the online payment system,” Babla said, who has an ‘accumulate’ rating on the stock and a target price of Rs 1,461. On Tuesday, Infibeam’s shares were trading at Rs 1398.95, down 0.16%, on the BSE in afternoon trade. The stock has more than tripled since its listing in April 2016. It had ended at Rs 445.55 on the listing day, up about 3% from the issue price of Rs 432. 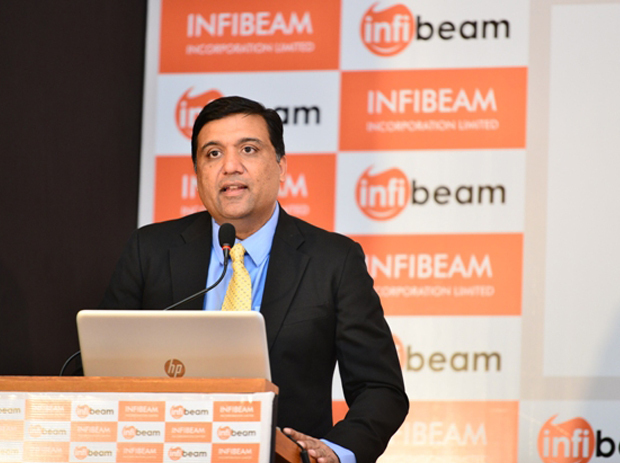 Infibeam is fast acquiring clients both domestically and globally. In December, it agreed to provide online e-commerce platform services, including advanced machine-learning algorithms for enabling automated products classification, to Sears Holdings Management Corp, an American firm that owns retail store brands like Sears and Kmart, among others. Infibeam will also provide the government of Sikkim a unique and verified digital identity platform with authorised and secured digital wallets for people. The company will also develop a dedicated tourism portal for the state. The company has also entered into an MoU with IL&FS Township & Urban Assets Ltd for implementing projects in the digital and e-commerce space for the central government, state governments and private partners. It will set up a special purpose vehicle (SPV) in Gandhinagar to provide its technology and office premises for expanding and implementing digital projects. The SPV will offer a revenue opportunity of Rs 1,250 crore over a period of five years, starting FY17, Infibeam’s founder and chief executive Vishal Mehta told News Corp VCCircle. “We are getting into global markets, we have the appetite to work with the government and we have signed clients in the Middle East and the US. All this will show positive results from the next two quarters,” he added. Infibeam categorises income from the B2B business under service revenue, which is on an upswing. For the quarter ended December 2016, it grew 49% to Rs 40.2 crore, compared with Rs 27 crore a year ago. “We are investing in last-mile logistics. There is demand for supply. Service revenues used to be 15% of the overall revenue earlier, but now they are 40%. It’s a high-EBITDA margin business. As our service revenues goes up, profit also goes up with it,” Mehta said. For the third quarter of FY17, Infibeam’s total revenue grew 14% to Rs 102.7 crore, compared with Rs 90.1 crore in the same period a year ago. EBITDA grew 348% to Rs 21.2 crore, compared with Rs 4.7 crore a year ago while profit after tax rose a whopping 2,411% to Rs 12.8 crore compared to Rs 50 lakh in Q3FY16. Revenue from the e-commerce vertical slipped 1% to Rs 62.5 crore during the quarter, and the company attributed it to the “withdrawal of cash on delivery services”, saying business has picked up since then. Mehta said the growth witnessed in the service business segment will continue on the back of new alliances. “In e-commerce, there are three potential obstacles: building capacity, supply and demand, and we solve all of them. We are a one-stop solution provider in the e-commerce segment offering purchases to payments solutions under one roof, and that puts us in a strong position,” he said, referring to Infibeam’s unique business model. Unlike other e-commerce firms that focus mainly on business-to-consumer (B2C) offerings, Infibeam is heavily focused on B2B. Apart from its flagship marketplace portal infibeam.com, the company has an enterprise platform called BuildaBazaar.com, which is growing sustainably quarter on quarter. BuildaBazaar.com provides small, medium and large merchants a commerce platform to help them start online stores under their own domain names. The cloud-based, do-it-yourself platform integrates operation support services like payment gateway, logistics, order management, marketing and search engine optimisation and catalogue management, among others. Merchants, including SMEs and MSMEs, are increasingly going online and that’s helping the firm. The number of merchants on Infibeam’s BuildaBazaar platform rose to over 66,000 in the quarter ended December 2016, up 36% from the previous year. Drama Teen- Parents’ Walk Through the Contours of Teenage! “Impossible to understand. This is the best way to describe this generation.”- Parents. “They don’t understand me at all.” - Teenagers. More often than not, this is the skit that goes on loop, in the houses where the “Ghar ke Chirags” are teenaged kids. Ms. Lina with her new book- “Drama Teen” bridges this gap presenting the story from both the perspectives. “I dream of a society in which every child enjoys the right to a joyful childhood and top quality education.” - Ms. Lina Ashar. 1. 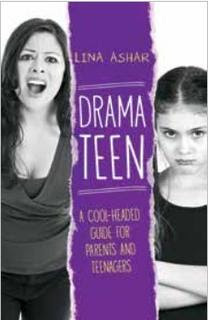 Can you tell us something about your book - “Drama Teen”. How is it different from a normal parenting guide? Lina Ashar - Most books address only one audience, the unique thing about this book is the format. For each topic I write to the parent and then the teen - giving them a chance to step into each other’s shoes and therefore bridge the generation gap. The process was initiated while I was counseling students to understand their own values and their parent’s values and negotiate their needs from that position. I got a lot of positive response from the students that it worked and helped them get what they want - but not at the cost of their relationship with their parents. 2. School and Curriculum plays a vital role in steering a teenager in right direction. What are your views regarding the system and curriculum in India? According to you, how the education sector of India needs to improve? Lina Ashar - ‘I was born intelligent. The education system ruined me’ – Mark Twain’s famous quote is true for many educational systems around the world. Kids enter schools as curious and inquisitive creatures and leave the portals as unthinking, uncreative, and undemanding people. We teach children subjects in a lack lustre manner and in most cases they cannot join the dots, this makes them dislike going to school. The 21st century skills that children need to encompass is collaboration, critical thinking, problem solving and high level of accountability and display of ethical behaviour. We have to a great extent focus on integrated projects revolving around global themes. 3. Most of the engineering students think they did a mistake by joining engineering. Can this problem’s roots be found in teenage? When it comes to career-guidance, how should teachers and parents play their role? Lina Ashar - Schools and Parents need to first recognize that there are careers and jobs beyond engineering and medicine. Studies have shown that Right Brain jobs that will be in demand in the coming years. A lot of these jobs don’t even exist today. We need to train children to survive in life and train them to build right habits of mind. The top paying jobs today didn’t even exist 10 years back. 4. How do you explain pros and cons of excess of things like peer-pressure, social media, and rebellious attitude to a teenager? What is your advice to teenagers based on current times? Lina Ashar - I always urge the teens that - when they really want to acquire a material possession, they need to find ways of earning the money. Build within themselves a spirit of enterprise. Mowing lawns, and delivering newspapers and milk seem to be a thing of the past, but find ways to do chores over and above the normal household duties for a financial reward. Our education system is already set up to provide the hard skills, they need to go through life. However, they also need values such as self-esteem and confidence. Necessity is the mother of invention, so they have to think about ways in which they can invent. intimidated by movies. What is your view regarding it? What is the way out from the p.o.v of students as well as parents? This will help make the child aware of the subtle messages and build a positive image. 6. Being an educationist, you have been around these things for major part of your life. What are some lessons that you have learnt from teenagers? Lina Ashar - Reward and risk often go hand in hand. Unconditional love is a must. 7. If you think about adding one more dimension or one more chapter to your book- Drama Teen, what will it be about? One of the aspects that I would have loved to add is the Importance of the stories that we hear, In fact this is now going to be my third book. Stories we hear form the basis of our subconscious programs, therefore beliefs, actions and decisions. Brain chatter or stories we tell ourselves form the basis of the outcome of our lives. The Third one sounds interesting already!